OK. This isn’t one of mine, but I like it. Remember this piece of art? Loryn Brantz, of Animals on Desserts fame, created this one just for moi. And I love it. 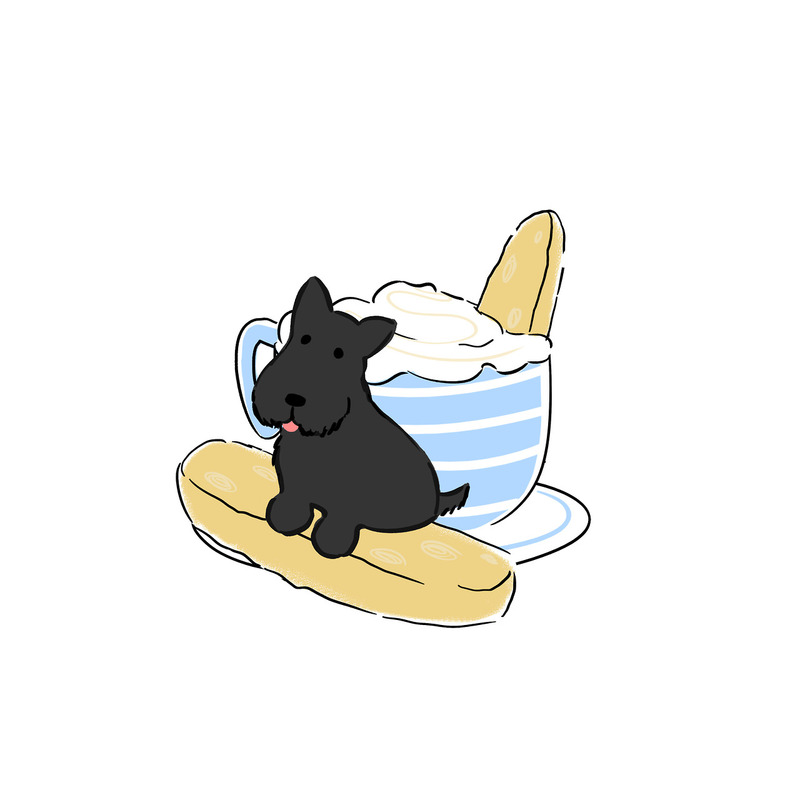 This entry was posted in Scotties, Scottish Terriers, The Scottie Chronicles and tagged Animals on Desserts, art, biscottie, food, Loryn Brantz, Scotties. Bookmark the permalink. OK, we’ll accept that as a piece of StuArt. Ah, biscotti…I thought they were small surfboards. We just like to say Scottie Biscottie! It makes us giggle or AROOOOOOOO! We think Biscottie should be made using Scottie cookie cutters – and be renamed Scottie Biscottie from now on! Yes, we do! I’m with you on that. 100%. We like the Walker Scottie cookies. Mom got a set of wheaten and black chocolate Scotties and they are in the freezer. She can’t bear to eat them. Really? I’ve never seen those! Mine sings that too. In my ear. Ouch.